Music Minus One Piano Deluxe 2-CD Set. Composed by Wolfgang Amadeus Mozart (1756-1791). Sheet music with CD. Music Minus One. Classical. Softcover with CD. 80 pages. Music Minus One #MMO3082. Published by Music Minus One (HL.400247). 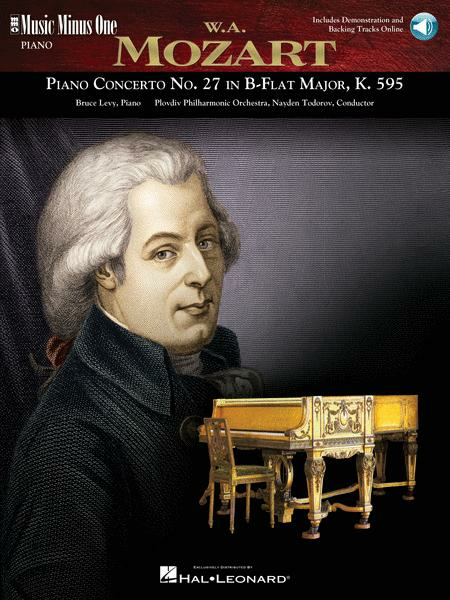 Composed in his last year, this subtle and delicate concerto was Mozart's final contribution to the piano concerto literature, and it shows the restraint and precision of a supreme master. A feeling of serenity pervades the entire piece. A joy to perform. 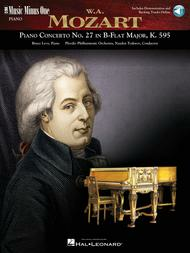 This deluxe edition includes an authoritative, newly engraved music score printed on high-quality ivory paper, a digital stereo compact disc featuring a complete performance of the concerto with orchestra and soloist, and a second performance minus you, the soloist; and a second compact disc containing a full-speed version of the complete version as well as a special -20% slow-tempo version of the accompaniment for practice purposes. The concerto is voluminously indexed for your practice and performance convenience.